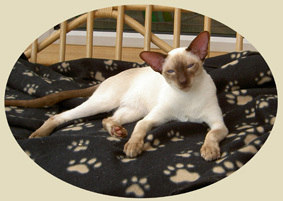 Pete was awarded his 3rd GrPr certificate at the Wiltshire show July 09 so is now a Grand Premier. 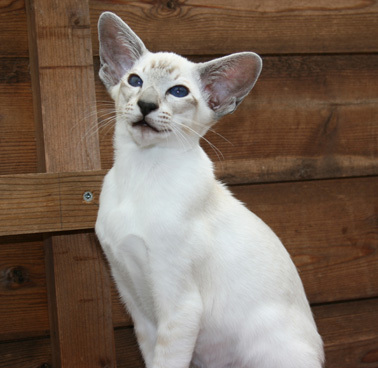 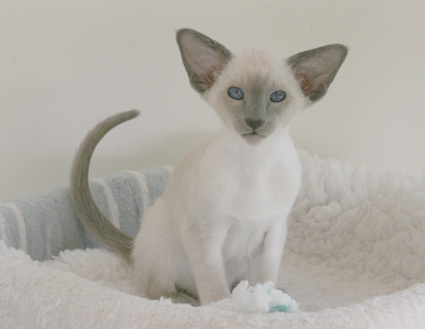 Grace became a champion at the age of 11 months in 3 consecutive shows.She won her first Grand certificate at the Three Counties show August 2010 after having her first litter of 4 kittens in May. 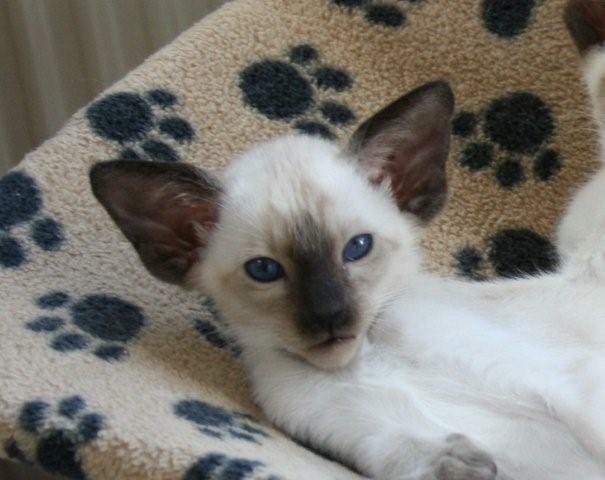 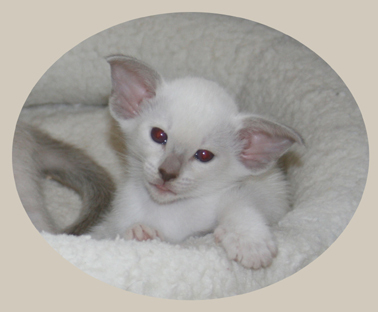 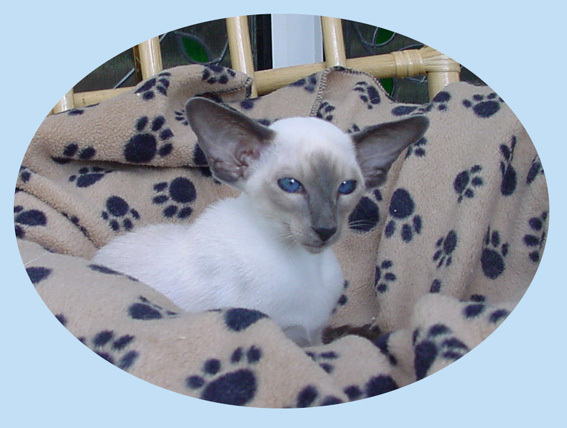 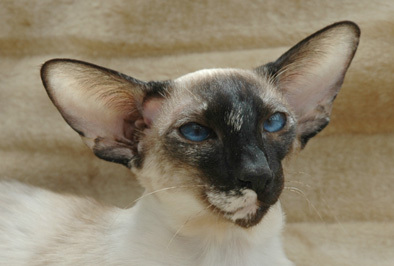 She had 5 kittens in Oct 2010 and was awarded her 2nd GrCC at the Southern Counties show in Jan 2011. 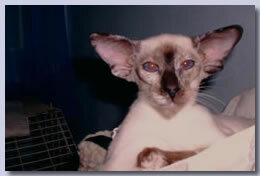 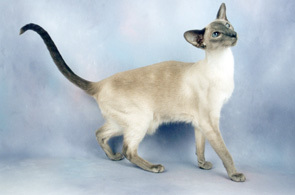 Overall BIS Siamese Kitten Southern CCshow Jan 2003. 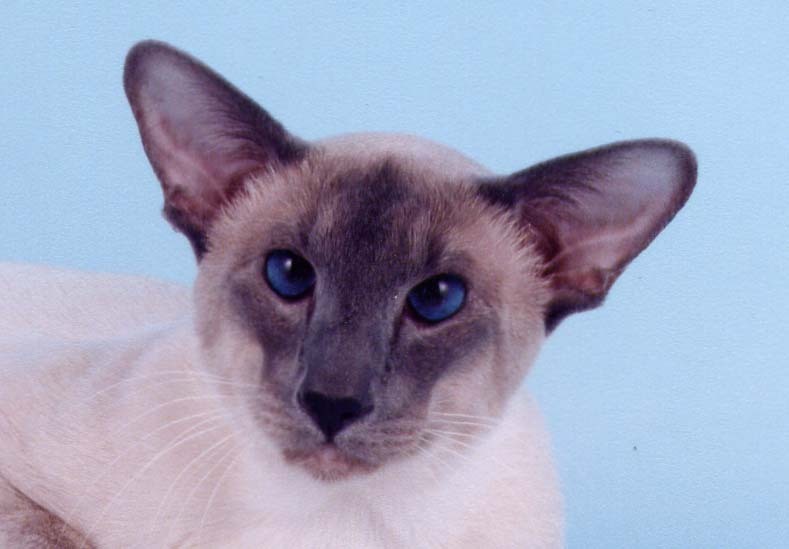 BIS Male Kitten Northern Siamese Show April 2003. 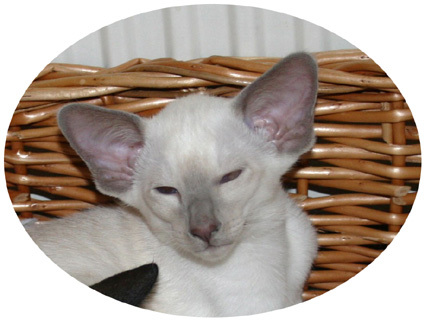 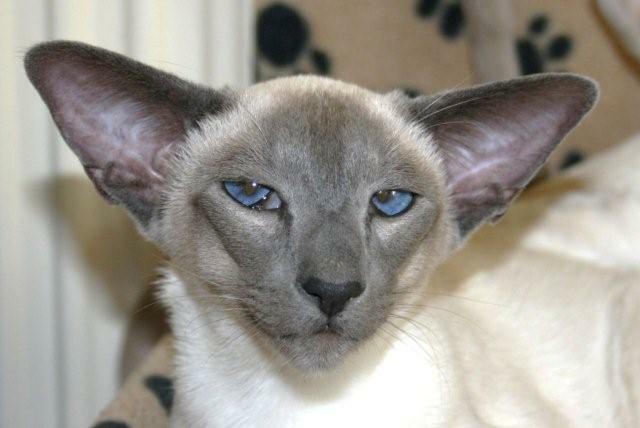 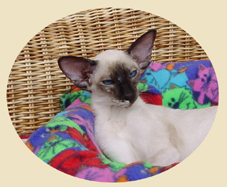 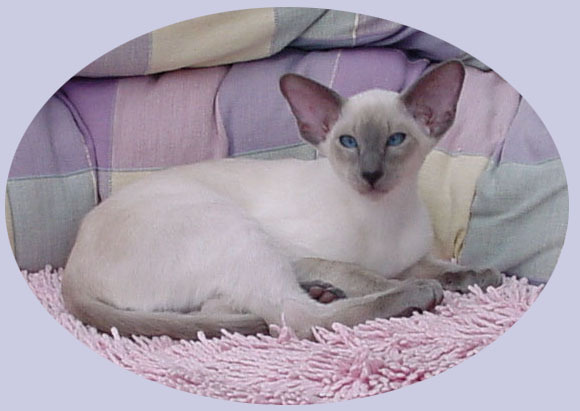 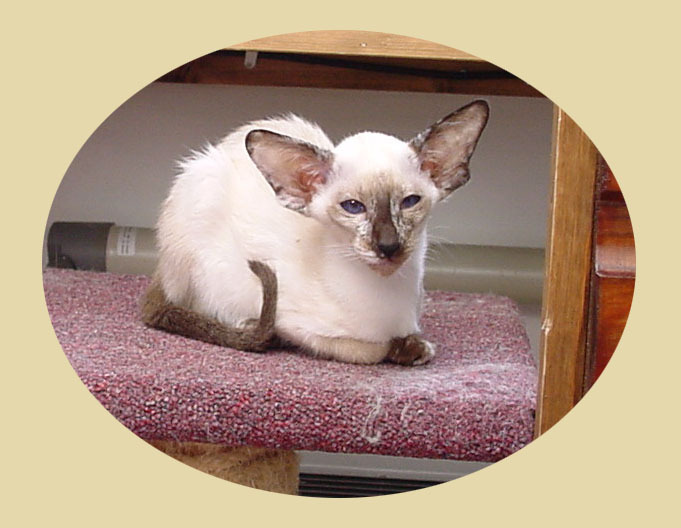 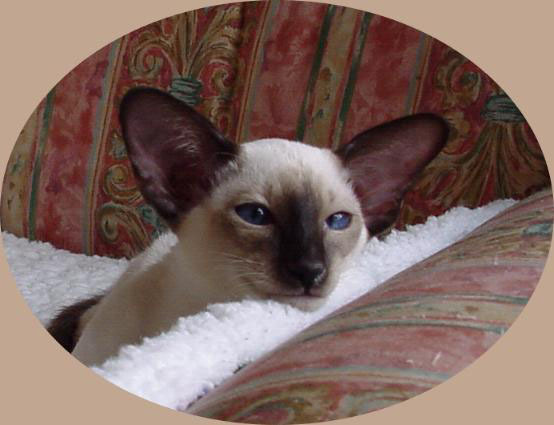 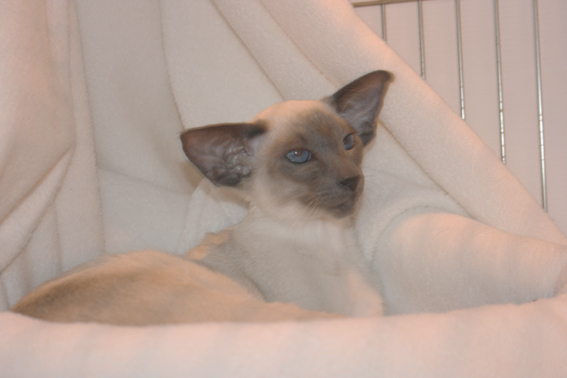 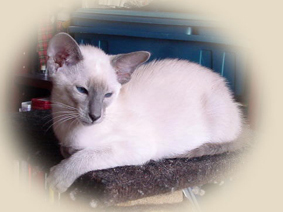 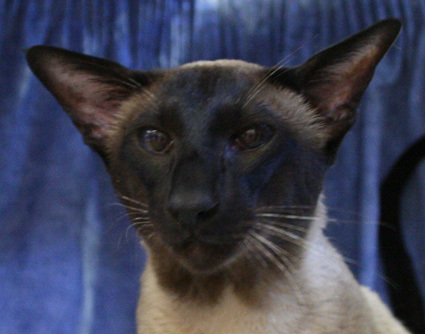 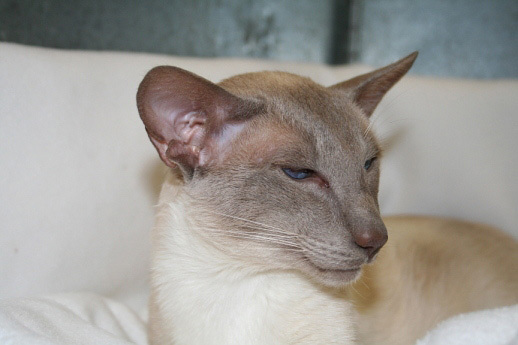 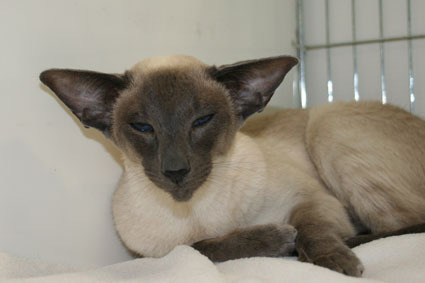 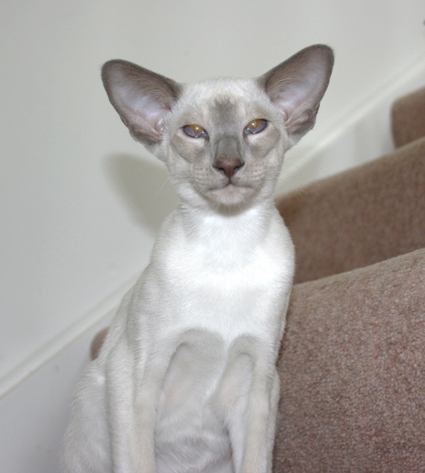 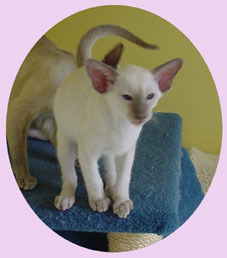 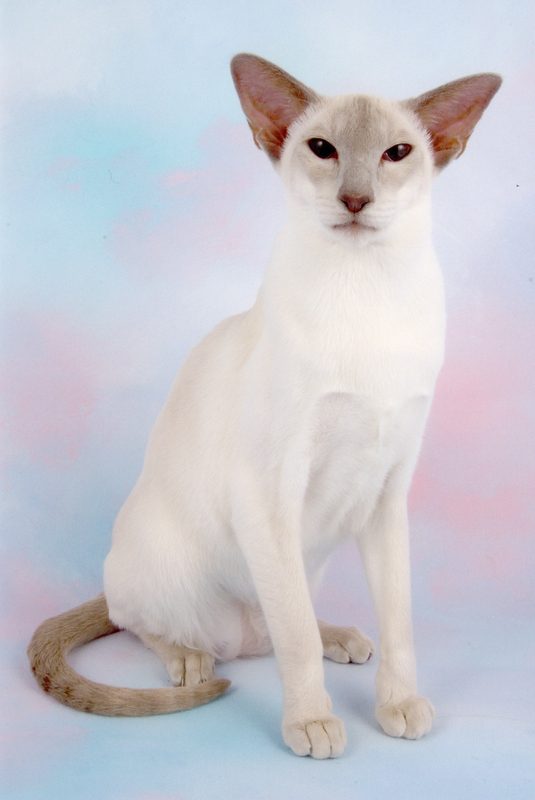 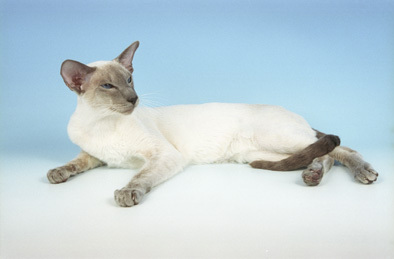 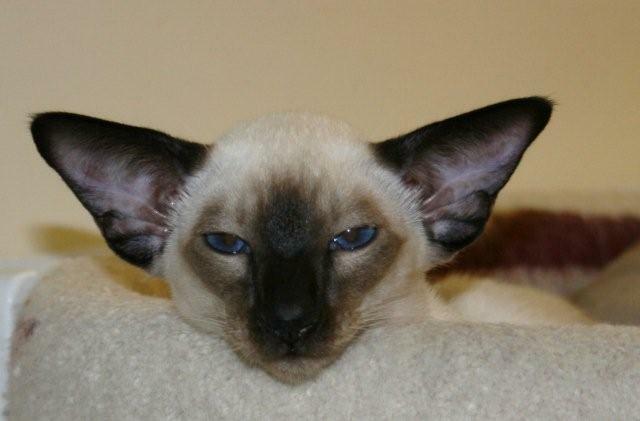 BIS Male Adult and best Blue Point at the Blue Point Siamese Show August 2003. 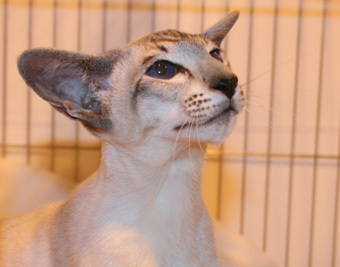 4th CC at the Cumberland Show. 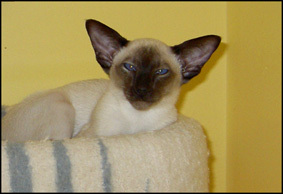 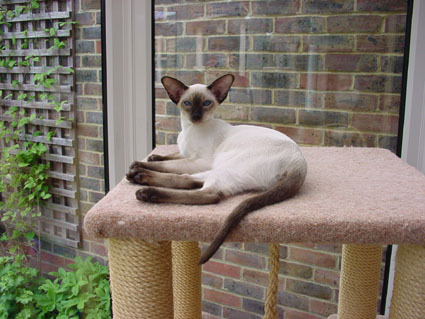 In November 2003 he was re-registered as a caramel point and neutered.